I’ve already elsewhere commented on two of the book’s methodological interventions. 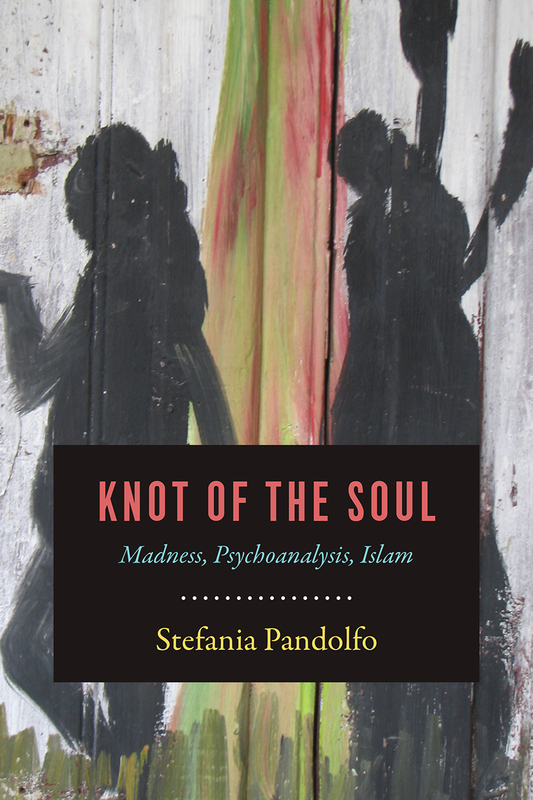 It refuses the dominant academic historiography of modern Islam (organized by the tropes of rupture and continuity); and it stages an unprecedented conversation between Islamic medical-theological reasoning and the unconscious in psychoanalysis. But it does so through a dense poetics–refracted through and across the lives of her interlocutors–that cannot easily be abstracted (figura) into an argument with one or another scholarly literature. Across its ethnography of postcolonial psychiatry, imagination at its tormented limit, and the jurisprudence of the soul, the event of madness appears as the possible disclosure of a divine address. I’m eager to watch the conversation around this book unfold, with commentary from Adam Kotsko, Marika Rose, Aaron Eldridge, Anthony Paul Smith, Rajbir Singh Judge, Daniel Colucciello Barber, and Ali Altaf Mian, and closing out with a response from Pandolfo herself. Next ›Knot of the Soul Book Event: A Political Theology of Jinn?